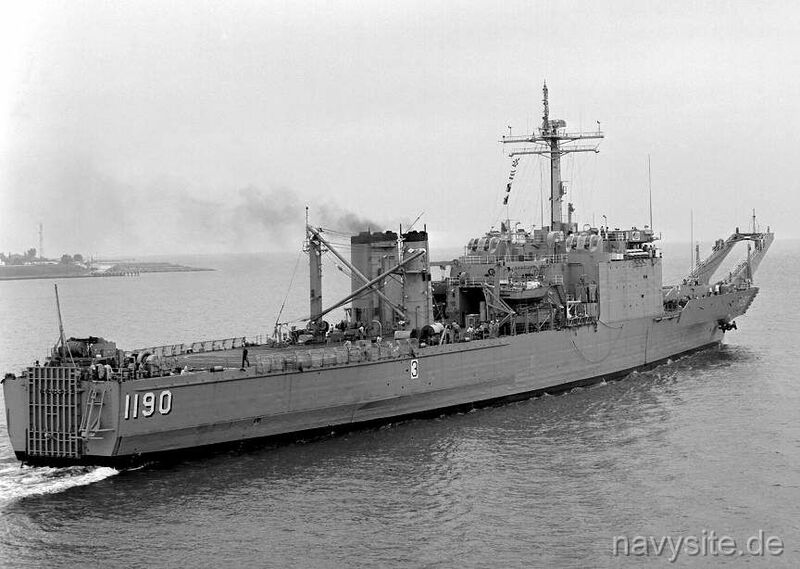 Named after the city in Colorado, the USS BOULDER was the 12th NEWPORT - class Tank Landing Ship. 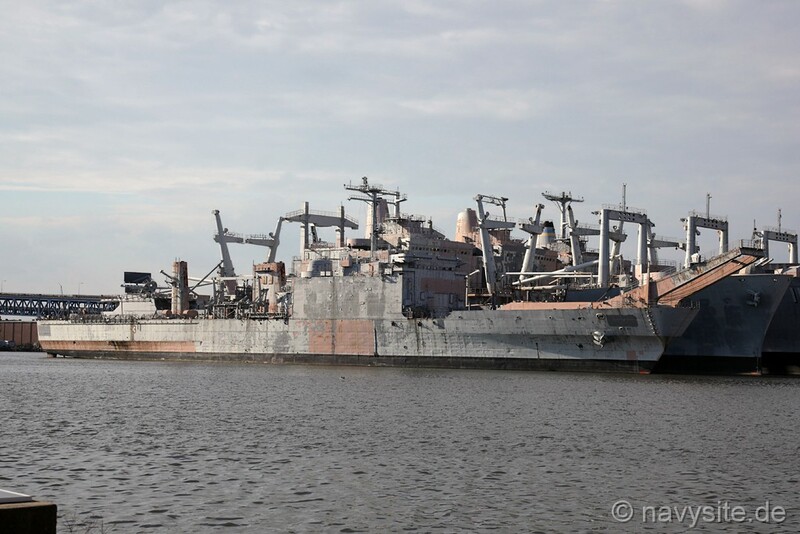 Decommissioned on February 28, 1994, the BOULDER is since then berthed at the Naval Inactive Ship Maintenance Facility in Philadelphia, Penn. Builder: National Steel and Shipbuilding Company, San Diego, Calif. This section contains the names of sailors who served aboard USS BOULDER. It is no official listing but contains the names of sailors who submitted their information. 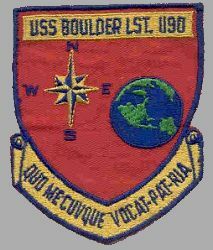 Click here to see which USS BOULDER memorabilia are currently for sale on ebay. 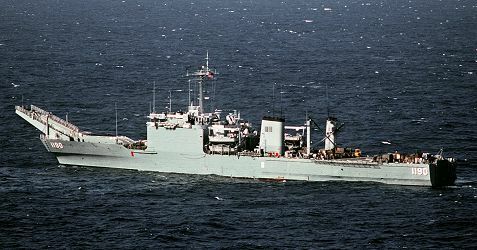 September 12, 1988 off Norway USS BOULDER runs aground off the coast of Norway during exercise Teamwork '88 due to bad weather or unchartered underwater obstructions. The ship suffers some major scrapes and tears in the bottom of the hull. 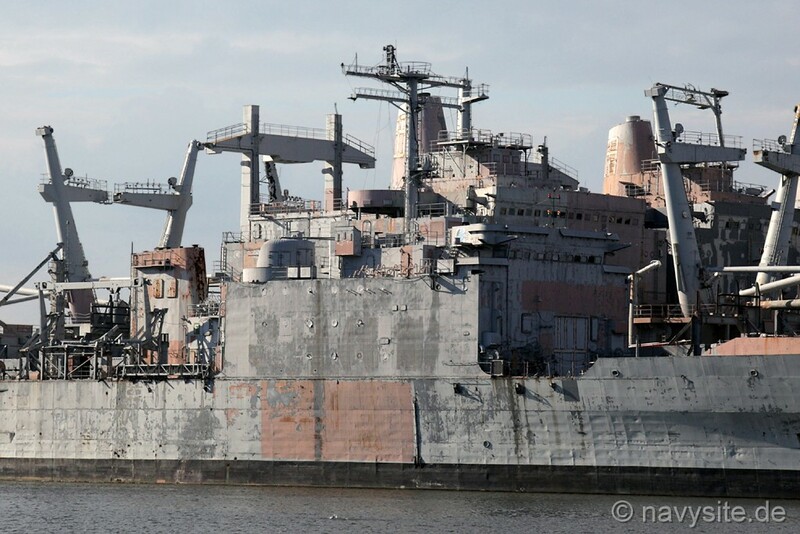 The photos below were taken by me on November 7, 2008, and show the BOULDER laid up at the Philadelphia Naval Shipyard. The photos below were taken by Michael Jenning and show the BOULDER laid up at the former Philadelphia Naval Shipyard on October 17, 2016. 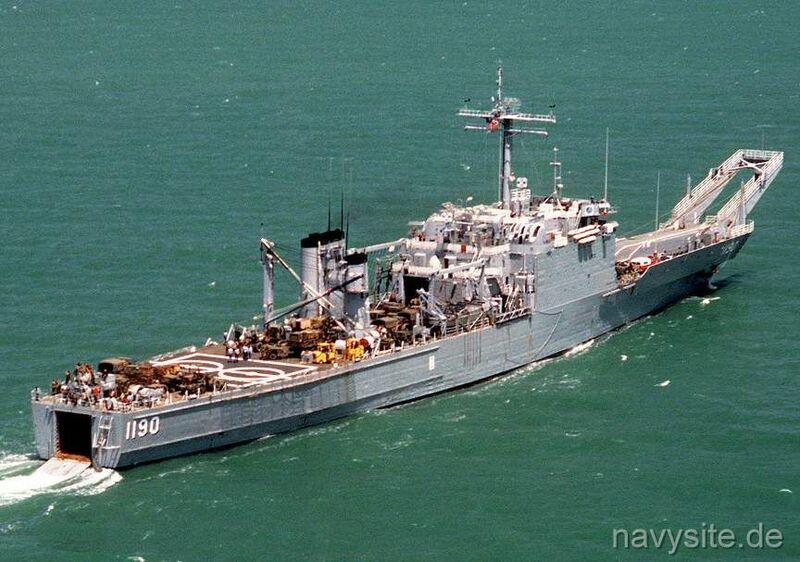 Back to Tank Landing Ships page. Back to ships list. Back to selection page. Back to 1st page.